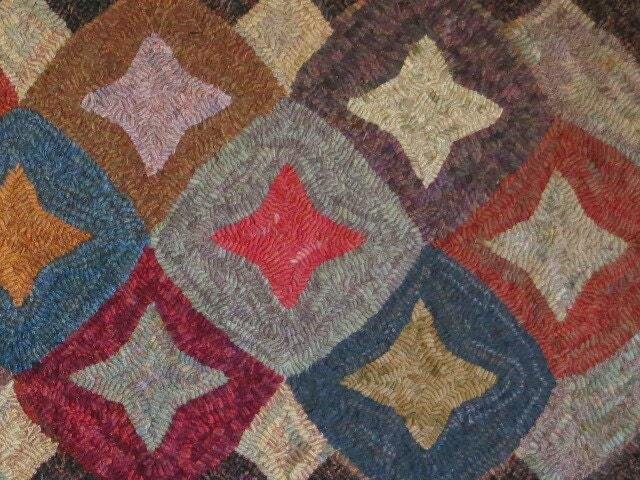 This listing is for the rug hooking pattern "Geometric Stars", 22" x 52" hand drawn on your choice of backing fabric, monks cloth or primitive linen. I have always loved geometric patterns and had so much fun hooking it. It's a great pattern to use up your stash :) Each star takes about 1/8 yard and each background takes about 1/4 yard. 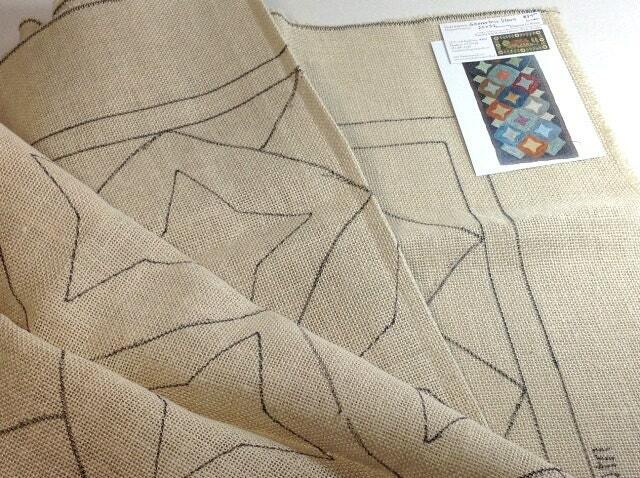 I have hand drawn the design with great care to stay on the straight of grain so that the rug will finish squared up. 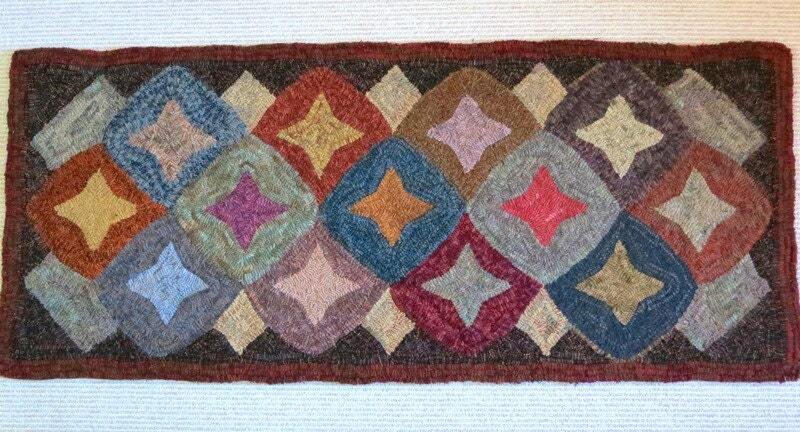 The border is 4" wide to fit over most frames or a 14" hoop. Raw edges of the fabric have been serged to prevent raveling while hooking. This size is long and narrow and is great for a hallway. I have included a couple of photos of how I hooked my rug to give you ideas for hooking yours. It would be lovely hooked with all the stars in various white textures and all the backgrounds in different dark values with the outline between in reds. 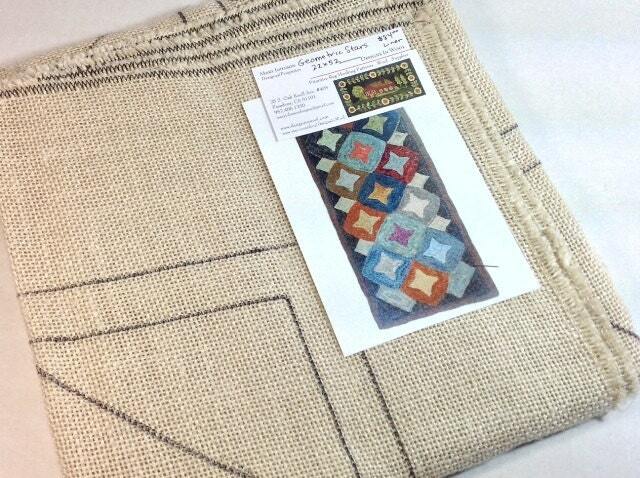 A great rug hook piece on linen. Mary does a great job and always very prompt.